Tbilisi Circus in Georgia. Constructed between 1939 and 1940 in Stalinist Empire style. Soviet architecture in the former USSR. Former Auditorium of the Industrial Technical College in Tbilisi, Georgia. Completed in 1976. Modernist, Soviet architecture in the former USSR. Monument to Galaktion Tabidze in Kutaisi, Georgia. Completed in 1990 by sculptor George Shkhvatsabaia. Soviet monument in the former USSR. 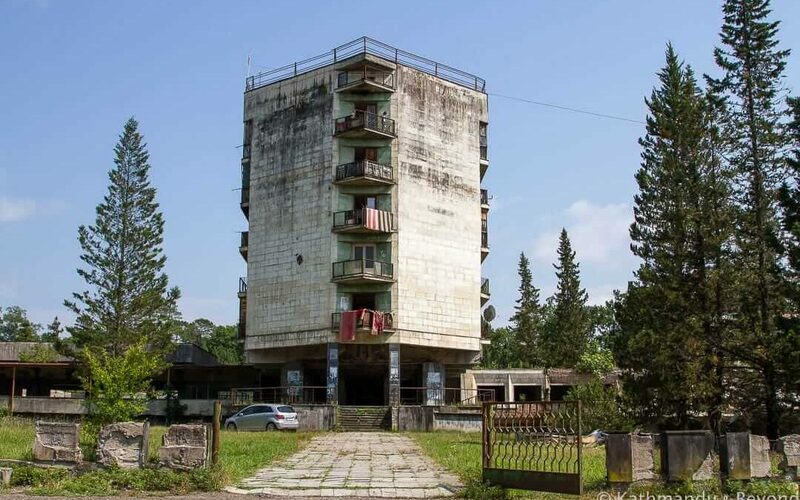 Sanatorium Aia in Tskaltubo, Georgia. Constructed between 1970 and 1985 and now home to IDPs. Modernist, Soviet architecture in the former USSR. 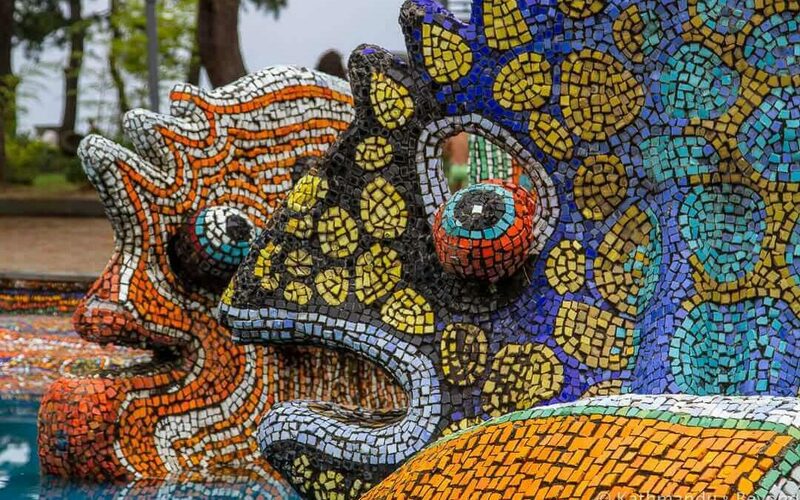 Mosaic fish, part of the fountain in Kobuleti Central Park in Georgia. Artist Ilia Pesvianidze. Soviet artwork in the former USSR. 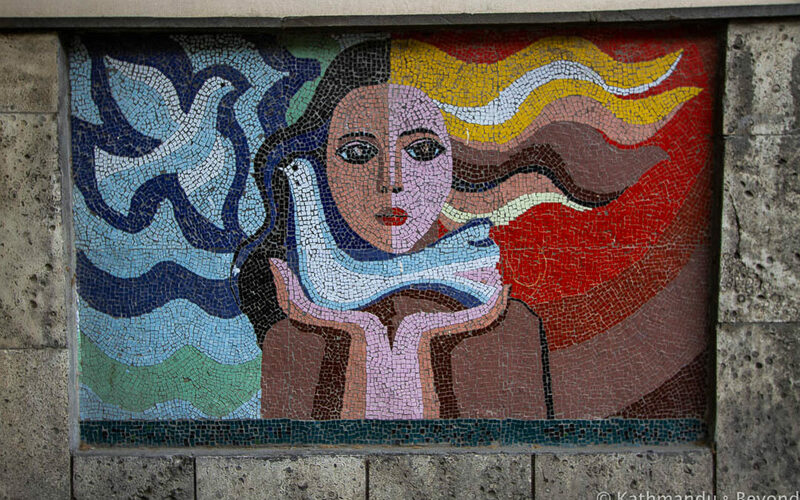 Mosaic depicting a peace dove on the side of Mitana Factory in Tbilisi, Georgia (Caucasus). Soviet era artwork in the former USSR.